Khalida Jarrar and Haneen Zoabi have spent their lives fighting occupation while the men in charge have squabbled and squandered everything. The phrase used to praise women is an inherited customary expression that refers to them as “the sisters of men”. However, that expression is often unfair, because it actually attributes praise to the men when it really belongs to a women. It becomes even more unfair when anyone dares to use it to describe a woman who is at the forefront of the confrontation with Israel and is showing rare courage, while her supposed brothers continue to pursue miserable and desperate peace deals. 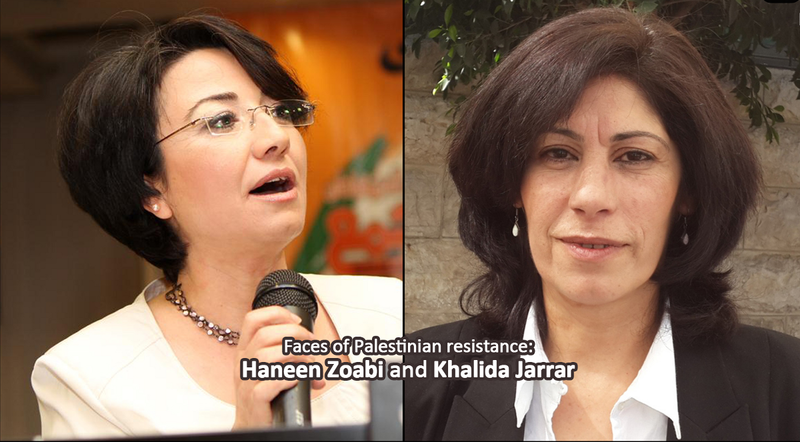 Khalida Jarrar and Haneen Zoabi are two Palestinian women who have spent their lives fighting Israeli occupation, each in her own way and each in keeping with her surrounding circumstances and the facts of her objective situation. They have succeeded in stripping the occupation of all its civilised masks, particularly in the last few weeks and months, and shown it up for what it really is: a racist, fascist entity that is exposed by the impotence of its power before their will. This would have seemed less surprising had it occurred during a phase different to this one, in which the Palestinian cause has fallen to the lower levels of the Arab and international list priorities, while the massacres of despots against their peoples, accompanied by the spread of the dark forces of sectarianism through vast parts of the Arab world have gained a higher priority. However, the arrest of Khalida Jarrar in the middle of Ramallah, which is supposed to be under the control of the Palestinian Authority, and the issuing of an unjust verdict to keep her under administrative arrest for six months, serves as a reminder of where priorities should be. We are speaking here of a woman who took it upon herself, since her early youth, to carry the burden of defending prisoners in Israeli jails through her work as director of the Dameer (Conscience) organisation. The Palestinian people showed its confidence in her by electing her as a member of the legislative council, in addition to her membership in Popular Front’s politbureau. When Israel issued a military order to exile her to Jericho last September on the pretext that she was a severe security risk, she refused to comply and responded in a manner likely to lay the ground for a wide-scale popular revolt against the occupation authorities. She pitched a protest tent and people rallied around her. Her recent arrest is a clear message that says that Palestine was and will remain the first and last concern, no matter how complicated the other conflicts raging around it become. That message also says that every peace deal that allows Palestinian land to remain under occupation is a sham, and that any resistance that does not confront the occupiers is false. Just like Khalida Jarrar, Haneen Zoabi followed a courageous course in confronting Israel. She has done so at the very heart of Israel’s institutions, and succeeded in becoming the first woman to run as a candidate on the Arab List, winning Knesset membership in 2009. She provoked the anger of most Israelis when she opted, during the swearing in ceremony, to leave the Knesset just before the Israeli national anthem was played, saying that it constituted a hypocrisy of which she would not be part. Her participation in the Freedom Flotilla to break the siege against Gaza in 2010 prompted some Israelis to call for lifting her parliamentary immunity, for putting her on trial and for expelling her from her country. Extremist right wing groups tried to prevent her from running in the recent legislative elections, but failed. Palestinians of the interior (Galilee, the Triangle and the Negev) showed their confidence in her by re-electing her, so that she would conscientiously defend their national rights, and remain a cactus thorn in the throats of Netanyahu, Lieberman, Eli Yishai and other members of the extremist racist Israeli elite. At this time of darkness and injustice throughout the Arab world, Khalida and Haneen protect the embers of our fire and guard what is left of our rights, which have been lost by leaders and generals, all of whom are men with not a single woman among them. Given this situation, they are not the sisters of such men, who are only good at grovelling before Israel. Perhaps the biography of each of them requires a reconsideration of the traditional saying, so that a man who takes a courageous stand can be told, for example, that he deserves to be described as the brother of a woman called Khalida or Haneen. In a June 15 statement, Fatah demanded Zayed take an explicit stance on Khazen’s article in Al-Hayat, yet Zayed did not issue any response or explanation. Meanwhile, the semi-official Palestinian newspaper Al-Hayat Al-Jadida reported June 18 on the visit of Khaled Islam, a former Palestinian official wanted for corruption, to Jerusalem to meet with Israeli officials. The newspaper said that Islam accompanied one of the Israeli officials to the Nahariya hospital to meet a former leader of Jabhat al-Nusra who is currently a leader in the Ahrar al-Sham movement. “The UAE is well informed of Islam’s moves, especially now since he has been moving between Erbil and Abu Dhabi,” Al-Hayat Al-Jadida reported. Islam is a close associate of former Fatah member Mohammed Dahlan. The report is an indirect reference to the Palestinian dispute regarding the good ties between Israel and the UAE, which Islam serves, and the UAE role in supporting and communicating with radical groups. “This is a highly sensitive issue and we do not seek to further deteriorate relations. Thus, the PA chose to remain silent, leaving media outlets to respond,” he added. The crisis between the PA and the UAE is not something new. It started when Fatah expelled Dahlan on June 11, 2011. Dahlan then moved to the UAE as a result of his strong ties with the ruling family, particularly Zayed, whom he serves as security consultant. In the same context, Palestinian President Mahmoud Abbas rejected UAE mediation to halt legalproceedings against Dahlan before his dismissal and to heal the rift within the Fatah movement. The dispute gap widened when on June 15, 2015, Palestinian Attorney-General Abdul Ghani Oweiwi confiscated the funds donated to the association Palestine Tomorrow for Social Development, headed by Fayyad, based on charges of money laundering and managing funds for political purposes. This has raised the ire of the UAE, especially since most of the support to the association is provided by the UAE Red Crescent. On July 8, 2015, the Palestinian Supreme Court decided to release the funds. For his part, Muwaffaq Mattar, the executive director of the Office of Information and Culture in Fatah and member of the movement’s Revolutionary Council, told Al-Monitor, “We are not concerned with any dispute with any Arab country. However, Dahlan — who serves as a security consultant in the UAE, which contributed to strengthening his ties with Egypt — has been seeking, since he sought refuge to the UAE, to stir sedition between the PA leadership and the Arab countries, namely the UAE,” by inciting against the PA.
“It is not a personal dispute between Abbas and Dahlan. We, in the Fatah movement, reject such labeling because Dahlan is wanted for murder and corruption. However, the pertinent question is how the UAE receives and supports him, knowing that he is wanted by the Palestinian judiciary,” he said. It seems the dispute between the PA and UAE is likely to persist as Fatah and the PA leadership are not making amends with Dahlan, accusing him of corruption and demanding that he be brought to justice. Dahlan enjoys official UAE support and has good relations with the heads of some Arab countries, such as Egyptian President Abdel Fattah al-Sisi. Irbil- An opposition Kurdish-Iranian commander revealed details on the Iranian administration backing terrorist organizations in the region, namely ISIS. Iranian forces have been training ISIS militants on national grounds first then deploying them to ISIS-held territories in Iraq, Syria, Libya and Egypt. ISIS has been receiving artillery support from Iran, which is being delivered either by airdrop or by land. Moreover, the commander uncovered details on the Fallujah campaign advance in Iraq that was only made possible after Iranian forces negotiated an agreement with the self-declared caliphate to make way for Iraqi and Iranian forces to enter. The commander of the military wing of the Kurdistan Freedom Party (PAK) in Iran, Hossein Yazdan Banna, speaking to Asharq Al-Awsat, warned that Iran will be cooking up news on ISIS attempting to stage terrorist attacks in Iran as to paint itself a victim’s image, deceiving the public’s opinion. Recently, Iranian security and military officials have circulated news on thwarting an ISIS plot set to target 50 sites in Iran, claiming to arrest ten conspirers and giving Banna’s argument the solid proof it needed. Banna added that the allegedly ISIS terrorists arrested by Iranian authorities are merely innocent citizens who have nothing to do with any terrorist group whatsoever. PAK commander Banna added that those detained have been arrested for their affiliation to the Kurdistan Freedom Falcons, a PAK branch. Over the past period, the Falcons were able to stage many attacks against IRGC camps used to train terrorists, as those camps are also transfer hubs for trained recruits to join ISIS ranks in Iraq. Naming a number of the training camps in Iran, Banna mentioned Imam Ali camp located in Tehran, Qazanjy camp located in Kermanshah, Imam Sadeq camp located in Qom, Hezbollah camp located in Varamin and Amir al-Mu’minin camp located in the Elam province. Banna pointed out that these camps do not only offer military training but also indoctrinate the recruits into a specific ideology and political orientation. Among the institutes responsible of for altering recruits’ mindsets are Qom’s International Center of Islamic Sciences and the International Institution on Bringing Together Islamic Sects. The International Institution on Brining Islamic Sects together is an Iranian organization set to lure in Sunni Muslims into Iran. The institution is mainly run by the Quds Force, an IRGC fundamentalist division for special operations. United States Consul-General to Jerusalem Donald Blome announced on Thursday a contribution of $51.6 million from the United States to Palestinian refugees in the West Bank and Gaza. According to Yumna Patel, reporting for Ma’an News Agency, the donation was a response to the United Nations Relief and Work Agency for Palestine Refugees in the Near East’s (UNRWA) 2016 Emergency Appeal for the occupied Palestinian territory, at a “critical” time when representatives said refugees were in dire need of assistance. UNRWA is currently seeking $403 million in emergency funds, which it said it needed to meet the “minimum humanitarian needs” of Palestinian refugees living in the occupied West Bank and besieged Gaza Strip. Blome and UNRWA Deputy Commissioner-General Sandra Mitchell made the joint announcement during a ceremony at an UNRWA school in the al-Duheisha refugee camp near Bethlehem. The funds will be distributed among a variety of programs, which include community mental health, food assistance, emergency health clinics, and a new “e-card” program. Both Blome and Mitchell stressed the importance of the ‘e-card’ program, praising the “innovative nature” of the new system, which places a certain amount of money on a debit style-card, with which the cardholder can go shopping at affiliated grocery stores. Blome hailed the e-card as multi-purpose solutions that could mitigate a series of problems, from giving refugees freedom of choice when it comes to shopping for food — whereas refugees previously received fixed food parcels — to making life easier for elderly refugees who previously had to wait in long lines for often heavy food parcels. 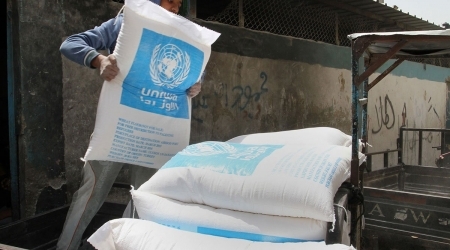 Instead of the $111 per year that had been provided to refugees in the form of a food basket, UNRWA’s new program will provide $130 per year via cash card, in four cycles annually, to some 36,129 people, according to the UN agency. UNRWA decided to halt its food distribution program in West Bank refugee camps and replaced it with the cash card system in April, causing concern among UNRWA’s Palestinian employees, who said the move jeopardized the jobs of 300 to 400 people who work at the organization’s distribution centers. Close to 775,000 Palestinians are registered as refugees to the UN in the occupied West Bank. UNRWA provides services in 19 camps in the Palestinian territory. Mitchell told Ma’an on Thursday that no one who worked in UNRWA food distribution lost, or would lose, their job as a result of the e-card program, and that UNRWA had reserved open positions in other sectors for former food distribution workers. International attention and involvement in the politics of Israel and the Palestinian territories have been brought to the forefront again in recent months, as many world leaders have come out in support of a French-led multilateral peace initiative. The United States has yet to make an official statement coming out in full support of the French initiative — which has been backed by the Palestinian Authority as well as 28 EU foreign ministers — or the proposed bilateral Arab initiatives — put in motion by Egypt and backed by Israeli Prime Minister Benjamin Netanyahu. After the press conference at al-Duheisha on Thursday morning, the spokesperson for the US Consulate General expressed the United States’ commitment to exploring all options for a viable peace initiative, though he added that the US viewed a “unilateral initiative” as “difficult,” and would prefer to have both Israeli and Palestinian parties to sit down at the table together in order to come up with a solution to the conflict. A growing number of Palestinian activists have criticized the two-state solution as unsustainable and unlikely to bring durable peace, proposing instead a binational state with equal rights for Israelis and Palestinians. The binational state — termed the “one-state solution” — has increasingly gained support among Palestinians, activist groups, and intellectuals purporting it as the most reasonable way of upholding Palestinian human rights and their internationally recognized right to return to lands they were expelled from during and after the establishment of Israel in 1948. GAZA, (PIC)– The number of Palestinian female captives who are detained in Israeli jails under the illegal administrative detention order jumped to four. The number increased after Israeli Occupation Authority (IOA) issued an administrative detention order against Sabah Feroun, 34, from Eizeriya town to the east of Occupied Jerusalem. She has four children. Riyad al-Ashqar, media spokesman of Palestinian Prisoners Center for Studies, revealed that the other female captives are Suad Rzaiqat from al-Khalil, who has been detained since December 03, 2015, Sana Abu Snaineh from al-Khalil who has been detained since February, 2016 and Hanin Omar, from Tulkarem. She was arrested on March, 27, 2016. The fourth captive, Sabah Feroun, was arrested on June, 19, 2016. Ashqar pointed out that the IOA escalated the use of the administrative detention policy against Palestinians in violation of relevant articles of the international law. OCCUPIED JERUSALEM, (PIC)– The Israeli high-level security cabinet on Wednesday approved a decision to crack down on Hamas detainees as a means to push for the release of Israeli captives in Gaza. The decisions adopted in the cabinet session include the formation of a sub-committee to persecute Hamas detainees as a means to force the group to strike new prisoner swap deal with the Israeli occupation. The cabinet further approved Israel’s newly inked reconciliation deal with Turkey, with seven out of its 10 members voting in favor of an agreement that ended six years of animosity between the two parties. Four Israeli soldiers have reportedly been held captive by Hamas following the 2014 Israeli offensive on the besieged coastal enclave of Gaza, two among whom are believed to be dead. The Palestinian Foreign Ministry has reported, Thursday, that two Palestinian women have been killed, and seven others Palestinians have been wounded, in the terrorist attack that targeted Ataturk Airport in Istanbul Turkey, leading to the death of 42 persons. 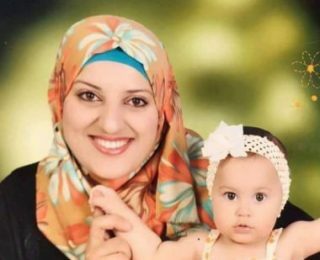 The ministry said that Sondos Abdul-Halim Basha, from the northern West Bank city of Qalqilia, died of her wounds, and that another woman, identified as Nisreen Hashem Hammad, 28, from Arraba near Jenin, died in the attack. Hammad was a teacher and a married mother of one daughter, 4 years of age, and was living with her family in Jidda, Saudi Arabia. 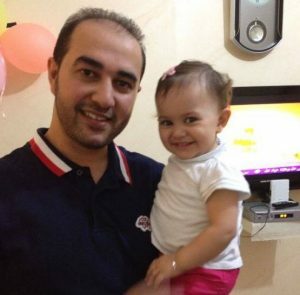 Her husband, Marwan, and their daughter, Rafeef, were injured. hat the remains of the two slain Palestinian women will be transferred to Palestine after concluding all needed preparations, and added that seven Palestinians are currently receiving treatment in a number of Turkish hospitals, after suffering mild-to-moderate injuries. Palestinian Foreign Minister Riyad al-Maliki said his ministry isclosely following the developments, and the outcome of this terrorist bombing, adding that President Mahmoud Abbasordered the formation of a crises committee in the Palestinian Embassy and in the Foreign Ministry, in order to provide the needed aid. As European leaders are gathered in Brussels to discuss the future of the EU, they would be well advised to put into effect values of accountability, justice and solidarity – and halt funding for Israel’s repressive apparatus against Palestinians. The EU has funnelled hundreds of millions of euros to sustain Israel’s regime of occupation and apartheid through its research and development funding schemes. Protests are currently growing against “Lawtrain”, a five million euro project funded by the EU that brings together the Israeli Ministry for Public Security and the Israeli National Police with their counterparts from Belgium, Portugal and Spain. Lawtrain sees companies, universities and research institutes coming together to develop technology that unifies methodology for police interrogations. The UN Committee Against Torture in May once again exhorted Israel to outlaw torture andhighlighted ongoing practices of torture and ill-treatment in the interrogation process, in particular against Palestinian juveniles. A Palestinian report has shown that 97 percent of Palestinian minors in Israeli detention had no access to legal advice before and during questioning. During interrogation, 28.7 percent were subjected to verbal abuse or intimidation, solitary confinement or sexual assault, 27.5 percent were exposed to physical violence including choking, punching, and hitting the child’s head against the wall. Yet European institutions are using taxpayers’ money in this four-year project, initiated from Israel, to develop software to enhance interrogation skills that builds on the experience of the Israeli police forces. They promote cooperation beyond so-called “gaps of culture, legislation, interrogation style”, normalise illegal interrogation methodologies and Israel’s system of control and military repression and assist in its maintenance. Lawtrain may even serve as a gateway for the proliferation of inhumane treatment into European justice systems. In Portugal, civil society groups have launched a public campaign against their government’s participation in the project. The Portuguese Communist Party, on whose support the government depends, and the Green Party have asked the government to get out of the project it inherited from the past administration. In Belgium, civil society is mobilising and media in both countries have criticised the project. Even within EU circles, cooperation with the Israeli police is controversial. In 2014, an EU working document proposed ending cooperation with the Israeli police, given that their headquarters are located in a settlement in occupied East Jerusalem. Last year, the European Council on Foreign Relations proposed similar measures. The Europol-Israel cooperation agreement seems stalled and faces ongoing criticism. The EU Commission’sresponse that “information obtained in obvious violation of human rights will not be processed” seems to ignore the reality that the Israeli system is built on human rights violations. Unfortunately, Lawtrain is not the only project supporting the Israeli occupation in the almost €80 billion allocated to the EU’s research programme Horizon 2020. EU research funding is concentrated on large multinational companies involved in multiple projects, among them a number of military companies. Though EU rules forbid funding for military technology, its guidelines on dual use allow the development of military technology as long as the project itself is aimed at civil use. Israel admits systematic military application of dual use capacity. As Isaac Ben-Israel, chairman of the Israel Space Agency, puts it: “Because we are a small country, if you build a small-satellite production line, say at IAI [Israeli Aerospace Industries], it will be used for military and for commercial.” Funding the Israeli military and security sector directly fuels its capacity to maintain Israel’s system of apartheid and occupation. As long as the EU Commission continues to finance the development of Israeli capacity to implement gross violation of international law and human rights, all EU condemnations of Israeli illegal practices and foreign policy efforts remain futile exercises. Israel will continue to reject any effort to achieve peace and respect for international law, just as it has snubbed the current Paris Initiative for peace talks. Between 2007 and 2013, the EU has financed over 1500 research and development projects with Israeli participation. Israeli Aerospace Industries (IAI) has participated in projects to develop unmanned vehicle technology, funded with almost 15 million euro. The Oparus project has developed remote piloted aircraft, such as those provided by IAI for the military aggressions against Lebanon and Gaza, as well as thermal imaging technologies. Col. Desmond Travers, member of the UN fact finding mission on Operation Cast Lead in Gaza in 2009, has stated that “thermal imaging technologies are likely to have been used to identify high occupancy targets. Such targets arose when Palestinians fled to relatives or friends houses in areas of Gaza believed to be safe”. According to UN reports and human rights groups, dozens of civilians have been killed by Israeli explosives fired on homes filled with people seeking refuge. IAI has been involved in another 15 projects, attracting total public funding of €148.55 million. Elbit Systems is another major Israeli military company that has seen its technological contributions to grave violations of international law rewarded by the EU. One of the contractors for Israel’s illegal Wall and the main provider of drones to the Israeli military, the company is part of the Horizon 2020 Flysec project that aims to develop an integrated airport security process for passengers. Elbit offers in this context its Lorros surveillance system as well as remote image processing technology, which are being used as part of Israel’s illegal Wall, to enforce the siege on Gaza and during Israeli military aggressions. Flysec is also set to entrench a securitisation paradigm within our societies, where principles of non-discrimination, privacy and other human rights are abandoned in favour of an almost Orwellian system of control. After Stockholm, Malmo and Copenhagen opposed Israeli inspections in their airports, and with official studies reporting on the level of racial profiling in Israeli security checks, EU support for a project that uses Israeli know-how for “more efficient background checks and passenger profiling” should never have been granted. The Israeli example uncovers only the tip of the iceberg of the problems of money allocation through Horizon 2020. Accountability to citizens and human rights standards have never been at the top of the agenda. Far too often big business and their lobbies, including the Israeli military and security sector, have won the race for tax money distributed through EU funding schemes. While the EU needs to change its rules, participants in the EU financed projects have their own moral, political and legal obligations. Public and governmental bodies must respect their obligations under international law and their own constitutions. It is time for European citizens to demand not a penny more of their tax money be spent on Israeli military and security corporations and institutions, for governments to pressure the EU on its political and ethical inconsistencies and for the EU to mend its ways. In dit bericht gaan we in op enkele overtuigingen die tegenstrijdig zijn met de correcte geloofsovertuiging die de moslim hoort te hebben. Wanneer sommige moslims door tegenspoed worden getroffen, en bijvoorbeeld bezeten of ‘betoverd’ denken te zijn, denken zij hun heil te kunnen vinden bij hen die magie (sihr) bedrijven. Niet wetend dat zij in werkelijkheid hun toevlucht hebben gezocht bij de helpers van de duivel. Deze magie komt namelijk alleen tot stand komt voor deze tovenaars wanneer zij de duivel gehoorzamen in ongeloof, zoals het onteren van de moshaf bijvoorbeeld. Alleen dan zijn deze duivels bereid hen te helpen bij hun duistere doeleinden, zoals het uit elkaar drijven van een getrouwd stel of juist ervoor zorgen dat een persoon een bepaalde vrouw/man trouwt, zonder eigenlijk enige interesse te hebben. Sihr komt o.a. tot stand doordat deze tovenaars een knoop maken met wat persoonlijke zaken van degene die ze willen betoveren, zoals haar, nagels e.d. Vervolgens roepen ze ongelovige spreuken uit, om hulp van de duivels te verkrijgen, en tot slot blazen ze op deze knopen. En als Allah het, met Zijn wijsheid toestaat, heeft deze sihr ook daadwerkelijk effect op het lichaam of verstand van een persoon. Velen laten zich misleiden door het uiterlijk van deze tovenaars, doordat zij zich voordoen als een vrome persoon. Dit is allemaal schijn. In het geheim begaan ze de meest verwerpelijke daden. Deze tovenaars zijn o.a. te herkennen doordat zij meestal naar de naam van je moeder vragen en onduidelijke spreuken mompelen misschien gemengd met wat verzen van de Koran als misleiding. In het begin kunnen zij zich zelfs beperken tot het reciteren van de Koran, waarna ze later pas overgaan op hun magie. Ze hebben vaak rare spullen in hun bezit, maken veel gebruik van wierook en schrijven rare tekens, die je soms ook meekrijgt in de vorm van een amulet om die te dragen of thuis te bewaren. Het ergste is dat ze jou kunnen opdragen om shirk te begaan, door bijvoorbeeld iets te slachten in de naam van hun duivels. De toegestane vorm van genezing in geval van bezetenheid of ‘betovering’ is door middel van ruqya, met als belangrijkste kenmerk dat deze geschiedt door het reciteren van de Koran en de authentieke overgeleverde smeekbedes uit de Sunnah, duidelijk in het Arabisch. Deze waarzeggers kunnen beweren dat zij in contact staan met ‘bovennatuurlijke machten’ of dat zij beschikken over het vermogen om op buitenzintuiglijke wijze beelden te zien van gebeurtenissen die zich op een andere plaats of in een andere tijd voordoen. Dit is allemaal onzin, net zoals bij sihr maken zij gebruik van duivels en dit is ongeloof, omdat ook zij alleen worden geholpen bij hetgeen ze willen nadat ze ongeloof hebben begaan. Waarzeggers proberen het feit dat ze hulp krijgen van duivels te verbergen door middelen te gebruiken waaruit zij zogenaamd deze informatie verkrijgen. Dat kan zijn: het lezen van de handpalm, kijken in een kristallen bol, gebruiken van ‘speciale waarzegkaarten’ en andere middelen. Zo willen zij de mensen doen geloven dat wat zij beoefenen een gave of vaardigheid is, terwijl het middel niet meer dan een dekmantel is. Je hebt ze vandaag de dag in allerlei verschillende benamingen. Zo noemen ze zichzelf helderzienden, paragnosten, paranormale genezers, magnetiseurs, handopleggers en ga zo maar door. Allemaal verschillende benamingen voor hetzelfde doeleinde; de mensen hun geld afhandig maken en erger nog; hun geloof schaden. Het kijken naar waarzeggers en tovenaars op tv is niet toegestaan, en de vrees is dat het gebed van ook zo iemand veertig dagen niet wordt geaccepteerd. Een andere slechte overtuiging is denken dat een amulet bescherming biedt tegen gevaar, ziekte, ongeluk, boze oog, jaloezie e.d. of dat het de kinderen of de plaats waar deze wordt opgehangen daarvan beschermt. Bij de moslim dient de overtuiging dat niets of niemand hem kan schaden noch baten behalve Allah, grondig te zijn gevestigd in het hart. Zo’n amulet heeft geen enkele toegevoegde waarde, behalve dan dat het jouw geloofsovertuiging schaadt. Leidraad; aan de hand van de sterren kan de weg worden bepaald en de richting van de qiblah bijvoorbeeld. Helaas hebben vele onwetenden, van vroeger en nu, een andere functie aan de sterren toegeschreven, namelijk dat de sterren invloed uitoefenen op gebeurtenissen op aarde en/of de gemoedstoestand van mensen, zoals horoscopen op zijn gebaseerd. Dit is onzin, niets of niemand heeft invloed op wat er op de aarde gebeurt, behalve de Schepper van de sterren en de rest van de hemelen en de aarde: Allah. Wel moet er een onderscheid worden gemaakt tussen astrologie en astronomie. Astronomie is een vorm van wetenschap, die ook wel sterrenkunde wordt genoemd. Deze is toegestaan, zolang er niets aan de sterren wordt toegeschreven, wat tegenstrijdig is met onze geloofsovertuiging. Dit terwijl astrologie geen wetenschap is, maar een vorm van waarzeggerij, waarbij een astroloog beweert iemands levensloop, toekomst en karakter te kunnen voorspellen aan de hand van de sterren. Dit is in het beknopt een aantal overtuigingen dat vanwege onwetendheid over ons geloof, en dan met name het fundament van ons geloof (Tawheed), zich heeft verspreid onder de moslims. De remedie voor deze slechte overtuigingen is om kennis op te doen van de juiste geloofsovertuiging en om op de hoogte te zijn van al datgene wat hier tegenstrijdig aan is. Moge Allah de meest Verhevene onze harten reinigen van alle vormen van shirk en ons doen sterven als zuivere monotheïsten. Abulfadl / Student aan de Universiteit van Medina, Saudi Arabië. Vice-president of the Syrian Coalition Muwaffaq Nyrabiya said that there is now no appropriate atmosphere for a political process in Syria as the Assad regime and its allies carry on with the slaughter of Syrian civilians. According to the Syrian Coalition’s media office, at least 70 people, including 7 children and 4 women, were killed on Wednesday in attacks by the Assad regime and its allies in nearly 49 areas across Syria. The office, which relies on sources and activists inside Syria to gather information, said that these figures do not cover areas controlled by Alnusra Front or ISIS, which were excluded from the cessation of hostilities agreement declared in January 27 of this year. Civil defense teams in the town of Douma in Rural Damascus said three civilians were killed in artillery shelling by regime forces on the rebel-held Damascus suburb on Wednesday. The attack also left many civilians injured, mostly children. Nyrabiya pointed out that the continued silence over such attacks by the Assad regime and its allies has further complicated the conflict and allowed ISIS to grow and fester in Syria and the region. Main state actors, meanwhile, continue to shirk their responsibilities towards the tragedy unfolding in Syria, completely unmindful of the disastrous consequences of the continued violations of the cessation of hostilities agreement by the regime and its allies, Nyrabiya stressed. Nyrabiya called upon the international community to break its silence and take real and urgent action against repeated violations of the truce agreement which stalled the political process. Such violations represent a continuation of the criminal policies the Assad regime and its allies have been employing against civilians for over five years, Nyrabiya added. By continuing the deliberate targeting of civilians, Nyrabiya noted, the Assad regime and its allies use civilians as a bargaining chip in the negotiations on Assad’s fate. “Bottom line, I’m still aiming – we are aiming at – within July, but not at any cost and not without guarantees,” Staffan de Mistura, the UN Special Envoy for Syria, told the press at the conclusion of closed consultations with the Security Council in New York on Wednesday. The UN envoy stressed the need for a political transition in Syria to win the battle against terrorism.